Use the correct pipette tip – When possible, use manufacturer's brand tips, or make sure to use tips that properly fit your specific make & model of pipette. Fit is extremely important, as the slightest loss of seal can cause inaccuracy and imprecision, leading to improper results. Pre-wet the pipette tip – Pre-wetting increases the humidity within the tip, thus reducing evaporation. 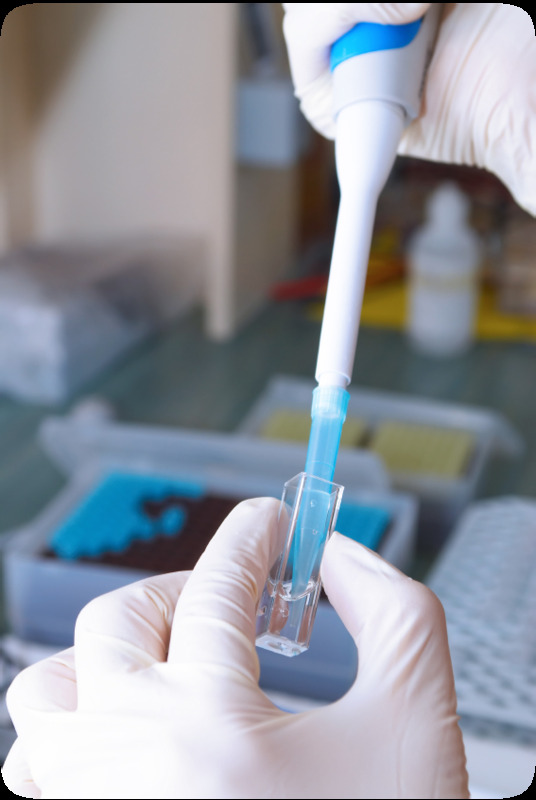 Examine the tip before dispensing the sample – When you immerse the tip too far into the liquid, there are often extra droplets sticking to the outside of the tip (for example, when pipetting enzymes). Also, take care not to touch the tip opening to avoid wicking away some of the required volume. Use standard mode pipetting – Remember to use the second stop on the pipette plunger to dispense the entire volume. Pause consistently after aspiration – After drawing up liquid, make it a habit to pause before pulling out the tip completely. The liquid is still flowing into the tip even after the plunger stops. Pull the pipette straight out – Touching the sides of the container from which liquid is drawn will cause wicking and loss of volume. Use consistent plunger pressure and speed – Depress and release the plunger smoothly and with consistent pressure and speed when dispensing each sample. Pipettes, like all precision instruments, produce more reproducible results when operated with attention to detail and proper technique. Immerse the tip to the proper depth – Large volume pipettes (1-5mL) should be immersed 5-6 mm below the meniscus. Smaller volume pipettes should be immersed 2-3 mm below the meniscus. Too much immersion will cause liquid to stick to the outside of the tip, and too little immersion will result in air bubbles. Minimize handling of the pipette and tip – The heat transferred from your hands to the pipette and/or the tips can affect delivery volumes. Work at temperature equilibrium – Allow liquids and equipment to equilibrate to ambient temperature. The volume of sample delivered by air displacement pipettes varies with air pressure, relative humidity and vapor pressure of the liquid, all of which are temperature dependent. Working at a single, constant temperature minimizes this variation.